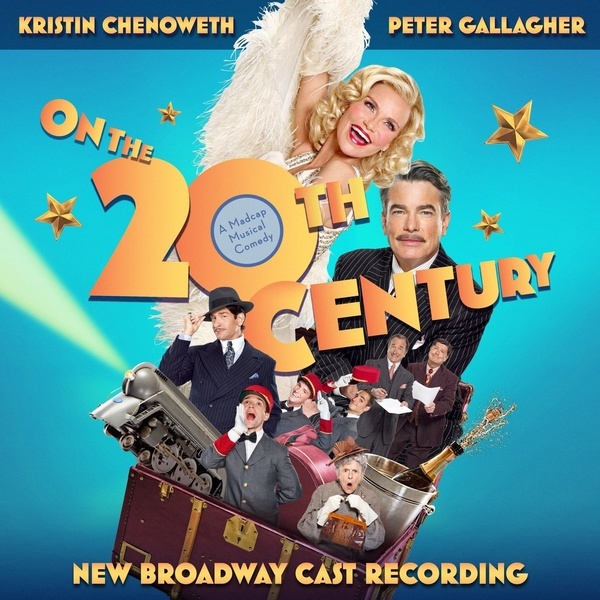 The new On The Twentieth Century cast album which was released on iTunes earlier this week and quickly snagged number one cast album on amazon! To celebrate, Kristin is giving fans a chance to win signed copies of the album on Twitter and Instagram. Sound good? Check out the contest guidelines below for more info on how to enter! Enter for a chance to win:Thursday, May 21 – Friday, May 29 Twitter Contest parameters: Tweet your favorite song from the OTTC album and hashtag #OTTC #giveaway and tag @KChenoweth. You must be following @KChenoweth and @TeamKChenoweth on Twitter to qualify to win. Instagram Contest parameters: Post your favorite picture from OTTC either behind the scenes or the stage. Your post caption must include the hashtags #OTTC #giveaway and tag KChenoweth. Your profile must be set to public (while the contest is live) to enter & be following KChenoweth on Instagram to qualify to win. Up to three lucky fans will be chosen at random, winners will be announced the week of June 1st. Good luck!